The airport lies 4 miles WNW of St. Helier. The port of St. Helier 4 miles WNW. Four landing runs - maximum run 980 yds. Equipped with Proctor, Osprey and Shark aircraft. Equipped with 6 x Swordfish and 6 x Albacore. Moved here for one weeks operations 04-11.06.40 from R.N.A.S. Ford. Equipped with 9 x Swordfish. Equipped with 12 x Albacore. 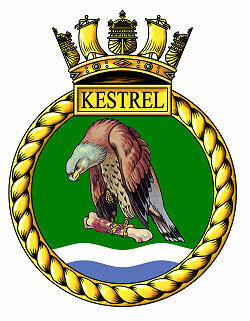 Opened as a civilian airport with grass landing area in March 1937, Jersey airport was taken over by the Admiralty early in March 1940 for use as a Naval Air Station, the accounts for naval personnel were borne on the books of 'KESTREL' at R.N.A.S. Worthy Down. Two training squadrons arrived on March 11th from. Worthy Down to take up residence, No.s 755 Telegraphist Air Gunner Training Squadron with a collection of Proctor, Osprey and Shark aircraft, and 763 squadron which was Torpedo, Spotter, Reconnaissance Pool No.1 with Albacores and Swordfish. 826 Torpedo, Spotter, Reconnaissance Squadron flew in from R.A.F. Bircham Newton on May21st for one weeks operations with their 12 Albacores, they returned to Bircham Newton on the 29th. By this time German advances into France resulted in the British government deciding that the Channel Islands were not defendable and the new Fleet Air Arm facilities were to be withdrawn back to the mainland. 755 squadron departed for R.N.A.S. Worthy Down and 763 squadron for R.N.A.S. Lee-on-Solent on May31st, the R N Air Station was paid off on the same day. One further Fleet Air Arm squadron was to briefly operate out of Jersey airport; the 9 Swordfish of 816 Torpedo, Bomber, Reconnaissance Squadron flew in from R.N.A.S. Ford on June 4th for one weeks operations, staying until the 11th.